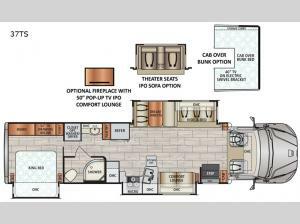 Imagine traveling with your own king bed while your overnight guests can sleep on the furniture once folded down for the evening or maybe the optional cab overhead bunk if you added that optional feature. Now imagine the cook in the kitchen making lunch or dinner on the gas range or in the convection microwave oven. You can grab the drinks from the residential refrigerator and maybe fold down the counter extension to help out. You also have the convenience of a closet prepped for a washer and dryer if you want to add that option. You will have the choice of sitting on a Dream dinette, hide-a-bed sofa and Comfort lounge when relaxing inside. 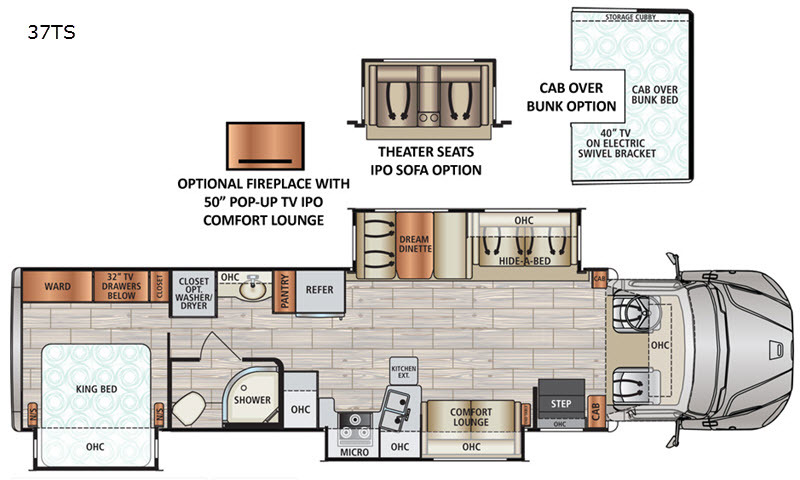 Come see all the standard features, maybe choose an option or two, and load up for luxury and comfort on the open road. Each Dynamax DX3 Super C diesel coach is built on a Freightliner M2 106 chassis for sturdy construction with gel-coat fiberglass walls, a crowned, one-piece fiberglass roof and several exterior paint options for your RV to be the talk of the campground. Inside, you will enjoy solid surface countertops with a hand-laid tile backsplash in the kitchen, hardwood raised panel cabinetry with five-piece drawer fronts, and a king size bed with a gel-infused memory foam mattress and a designer bedding package. Each model also includes the Winegard ConnecT 2.0 dome antenna, the Winegard In-Motion T4 satellite, and USB charging ports to stay connected. Looking for power, prestige and precision, choose your favorite DX3 model today!